Fantastic quality and bargain 1 Bedroom 1 Bath Apartment located in the centre of Los Montesinos,a short walk walk to all the facilities in this lovely Spanish Village. Good sized balcony, air con, fully fitted kitchen, utility room and comes part furnished. Communal roof solarium and swimming pool. Excellent as a holiday home. 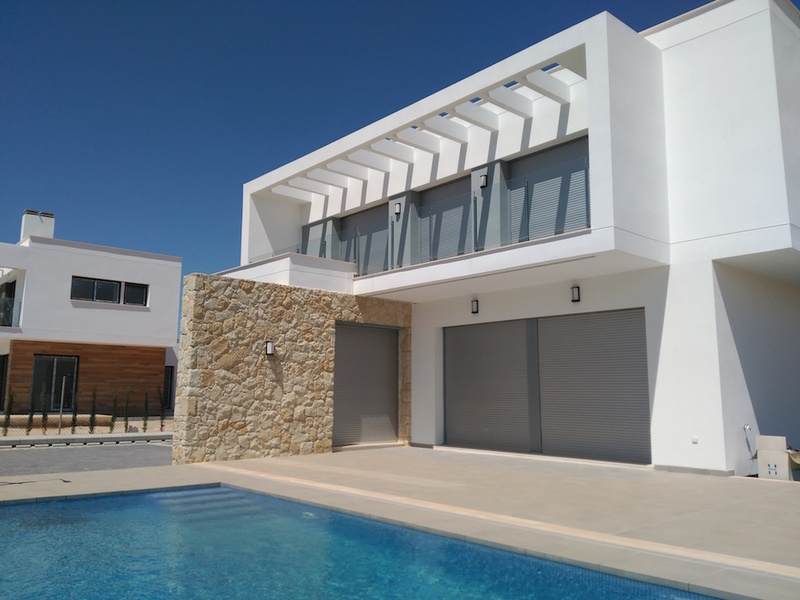 New Build Detached Villas Los Montesinos – We are delighted to launch these wonderful 2/3 Bedroom, 2 Bathroom Detached Villas located close to Los Montesinos, Alicante, Costa Blanca.